This gathering meets monthly to watch DVDs of Adyashanti, an American-born spiritual teacher devoted to serving the awakening of all beings. His teachings are an open invitation to stop, inquire, and recognize what is true and liberating at the core of all existence. These evenings are hosted by Jacelyn Bronte and Anita Adams. please see the Adyashanti Gathering’s Facebook page. “Satsang [‘association with truth’] is about remembrance. It’s as if you forgot you were this openness and thought that you were something. Humans have spun endless mythologies about how we forgot, but it really doesn’t matter how. The heart of satsang is not to change and alter yourself, but to remember what you are. 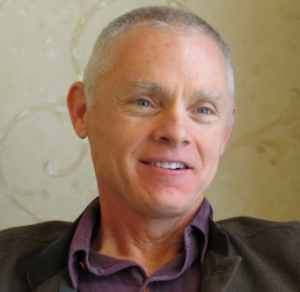 Truth is about just remembering, recognizing, or realizing your true nature. . . .
Adyashanti, author of The Way of Liberation, Falling into Grace, True Meditation, and The End of Your World, is an American-born spiritual teacher based in California, devoted to serving the awakening of all beings. His teachings are an open invitation to stop, inquire, and recognize what is true and liberating at the core of all existence. For more information about Adyashanti’s teachings, please go to adyashanti.org. For more information about this gathering, please go to facebook.com/adyabzn or email bozeman.gathering@gmail.com. This group is offered freely. Voluntary contributions toward the use of the Dharma Center space are graciously accepted. Our calendar program automatically offers links to other events in the bottom corners of the page. These events may be from last year. Please check the date at the top left of any event listing you click to using these arrows. Thanks!